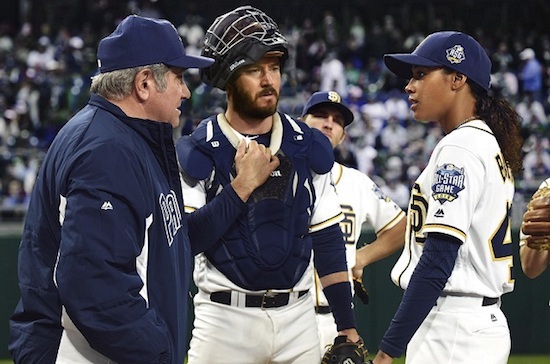 In 2016, Fox aired the charming and delightful drama PITCH—co-created by Dan Fogelman and Rick Singer—about the first female player to make it to the MLB. The ten-episode season followed Ginny Baker (Kylie Bunbury) as she navigated playing at the highest level on the San Diego Padres and dealing with the reality of being a trailblazer. While many of the cast and crew responded to THR’s report on social media, Fogelman’s may have been the most telling. “I sure did love that office…,” he wrote besides a photo at the Padres’ ballpark. Would you like to see a PITCH revival?